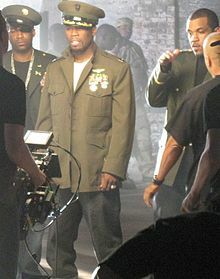 G-Unit is a hip hop group from New York. It consists of rappers 50 Cent, Lloyd Banks and Tony Yayo. They are signed to 50 Cent's record label G-Unit Records. They have released several albums. The have also engaged in feuds with other musicans in the industry including Ja Rule, Game and Young Buck. This page was last changed on 18 May 2018, at 22:53.